Sewer lines have been around for centuries, but pipe maintenance methods haven’t changed much since then – you wait for a costly problem to appear, then spend too much money getting your pipes dug up, inspected and replaced. Finally, there is a 21st-century method of pipe maintenance that’s as easy as it is cost-effective. Video pipe inspection can end up saving you thousands of dollars over the life of your pipes, by allowing you to early-diagnosed problems, way before the tell-tale signs of pipe problems appear and interrupt your life. 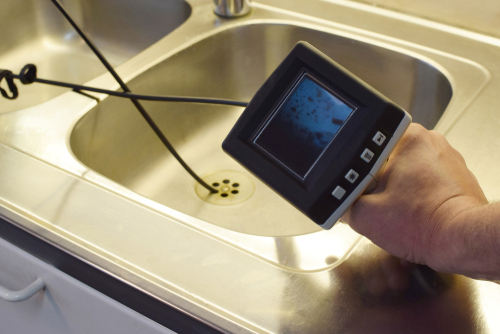 This cost-effective method of pipe inspection is as simple as having a certified plumbing technician insert a flexible and waterproof camera into your pipes, to look for incoming problems. The performing technician will use their professional eye to spot problems, big or small. The cameras transmit in real-time, so you can know right away if there is a problem that needs addressing. These cameras can travel anywhere in your pipes, even twists, turns and U-bends. Whether it’s clogs, developing cracks, or another pipe problem, video pipe inspection is the only way to know the state of your pipes without a physical check. Issues in your pipes that go unaddressed can end up costing thousands of dollars in repair, not to mention the disruption of having plumbers in and out of your home, the interruption to use of your plumbing or the potential for needed excavation. Save money and address the small problems before they become big! An annual video pipe inspection should be added to any savvy homeowner’s calendar. Your plumbing stays out-of-sight and out-of-mind until there is a problem. And when that problem arises, it’s always a big one. Remember that a little bit of maintenance on your pipes goes a long way, for your household, and your peace of mind. Scheduling a video pipe inspection at your home might be the smartest thing you could do for your house this year. 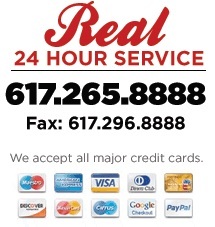 So contact Boston Drain Company today and carry on through the winter with peace of mind. Posted in Blog, Drainage Tips, Frequently Asked Questions, Plumbing News.